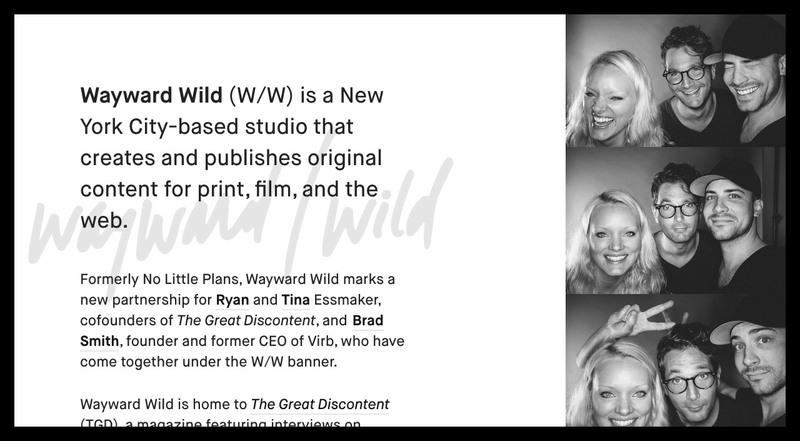 Responsive One Pager for Wayward Wild – a new collaboration with Brad Smith (ex-Virb) and the duo behind The Great Discontent. Lovely touch with the 3 image arrangement completely changing on various screen sizes. Wayward Wild (W/W) is a New York City-based studio that creates and publishes original content for print, film, and the web.